I was first attracted to INTI because of its wide variety of industry-focused courses. I had just completed my SPM and was going through a confusing phase where I had no clue what to study next. When I approached the INTI mentors with my questions, they gave me a career field test and provided me with invaluable guidance on the best course for me. I learned so much from their consultation sessions that I was able to make an informed decision to pursue IT. I liked that the programme served as a foundation in moulding me towards becoming technically prepared for the industry. Although I was an IT student, I dreaded technical papers. I am not a technical person, I was also a slow learner in programming and I struggled with lab tasks. Often, the first thought that came to my mind was “Will I survive this semester?” and “Will I be able to complete the assignment?” The only thing that sustained me was my determination to maintain my CGPA. Therefore, I was never too shy to ask for help, especially from my lecturers and seniors. It was amazing that they never became tired of my incessant questions, even when it started to annoy my course mates! My lecturers were great that way, they were always available to give me the guidance I needed. I am an IT graduate, yet the skills I learned at university were so comprehensive that they covered the job specifications of an engineer. After graduating, I joined Keysight Technologies, a US based company that produces testing and measurement equipment and software, as a job title in the Design and Engineering department. I now work closely with a team of test engineers in running interoperability and enumeration testing on both hardware and software test automation. Precise. Thorough. Relevant. These three keywords pretty much summed up what I’ve been through when I underwent Diploma in Information and Communication Technology (DICTN), and the Bachelor of Science (Hons) in Computer Science (BCSCU) programme in INTI International College Penang. 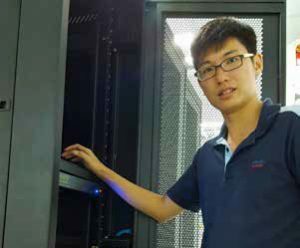 With the wide range and scope of the subjects offered by INTI, I was exposed to various fields, such as networking, programming, human-computer interaction (HCI), security, artificial intelligence, computer science, software engineering (SE), and so forth. What was more exciting is that, at the end of the course, I could clearly see the dots connecting all of these aspects together! I was curious about a lot of things, and there were a lot of questions running through my mind. For example, ‘Why is a user interface designed in a particular way?’ HCI covers that. Or ‘How do I reuse the components that I have written and code in a way that follows good design and practices?’ SE covers that. Or ‘How do I efficiently design and programme a client-server software?’ Network, programming, and SE covers that. And the list goes on. Students were offered ample amount of opportunities that were up for grabs. Take Employer Project (EP) for instance. I had opportunities to work on projects with several companies under Employer Project. And one of the best achievements I’ve had was to continue working on an EP as an intern, in the same company that offered the EP! Throughout the EPs, I was guided by lecturers with rich experiences in the computing field. Through their guidance, advices, and constructive criticisms, I’ve learned a lot of things – programming languages and concepts, software frameworks, service platforms, technology stacks, software designs and patterns, best practices, and so on. All of these are indispensable in my programming toolbox. I found that being a part of the INTI International College Penang family does not limit you to only be in Penang. I actually had the chance to participate several hackathons with my friends at the INTI International College Subang campus! They were challenging, but mostly fun. I also had the privilege of meeting some of the brightest minds in the IT field, from different campuses and colleges. In a leadership conference, I had the chance to meet VIPs from various industries, INTI alumni who succeeded in their careers, and student leaders from INTI campuses, all over Malaysia! In today’s era, information technology (IT) is practically indispensable. It’s an exciting time to be involved in the IT industry. The landscape changes rapidly, and we are directly involved in changing the world landscape. Through IT, one can transform a novel idea into a product that can create ripples in the landscape. It’s very exciting what one can accomplish today, especially with the advent of present evolving technologies, such as augmented reality, big data and machine learning, Internet of Things, cloud computing, and many more! 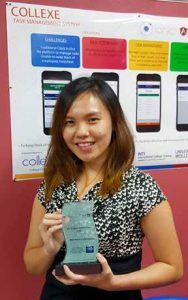 After completing the BCSCU programme, I felt confident in facing the real world prepped with knowledge and skills that I have learned throughout my days in INTI International College Penang. Stepping out from college and entering the workforce is merely a beginning of a new journey, but it did place us all a huge leap forward! I believe that the learning beyond college never stops, and that is what gets me excited. Consultant Developing, HCL Axon Malaysia Sdn. Bhd. After finishing my STPM, I wasn’t able to get into any of my desired courses. 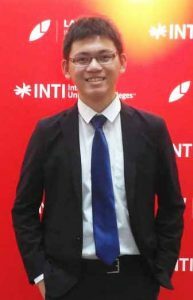 So, I decided to pursue into the field of computing, by taking up the degree programme at INTI. 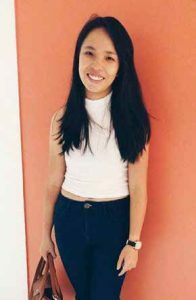 It was my first choice because it offered a solid course structure, with a good mix of theoretical knowledge, and practical applications. Since young, I was always curious on how software operates in the operating system. I had questions like, ‘What happens if I click this?’ or ‘How is that software created?’ I guess you could say I was always looking around to get a better understanding of how computer system works. As I learn more about the inner workings of IT, the ability to analyse and build a system that can solve a real world problem, that is something I am very proud of. As one of the few females in the IT and computing community, I would say that this industry is filled with plenty of challenges and scepticisms because it is a field that is largely dominated by male. However, I would like to take this opportunity to tell the world, that we women can also achieve great things in the IT field as well. However, it is not all fun and games. As someone who studied and worked at the same time, I was forced to manage my time effectively, to make sure that I can maintain my results as well as earn enough to support myself. On top of that, I am a very hands-on person, so I can understand practical knowledge easily, but the same cannot be said for theoretical knowledge. I would need to spend extra effort and frequently ask my seniors or lecturers for further elaboration, in order to fully digest a particular topic. Thus, all my efforts paid off, and my proudest moment during my studying years at INTI was when I graduated with First Class Honours for my degree. It was something that I never ever dreamt of achieving. That being said, once you step into the working environment, a First Class Honours is nothing more than just the first step. Because what matters the most is the experience you gain from that moment on. If I were to sum it all up, I would say it’s probably fine to fail once in a while. Because I believe failure gives us the experience to achieve something greater since we already know what it feels like to fail. Just be sure to always be open to advices and seek for help when needed, because there is only so much we can do alone, and we don’t have to experience failures all the time. Besides that, we should also learn through the experience of others. Lastly, grab any suitable opportunities that comes your way, and explore the work of different industries, even if it’s not what you majored in. I chose to join INTI because their IT programmes were developed in partnership with the University of Wollongong (UOW). Both INTI and UOW are top universities with global reputation academically and offer quality education. Being able to study close to home and still graduate with an Australian degree sealed my confidence in INTI’s dedication to set students up for a world-class education. The high level of dedication shown by my lecturers when it came to teaching and the guidance they provided exposed me to the exciting potential of a career in IT. As technologies worldwide advance at blazing speeds, computers and mobile devices have become an indispensable part of our lives. I discovered how I could develop software to help communities solve problems and increase efficiency. This vision spurred my decision to join the computing industry as a software developer. Other than the hard skills I learnt in the classroom, I also learned that to be a successful leader, you must have a positive mindset, confidence, and know how to make the right decisions for the right reasons at the right time. Three words for students starting out in the working world: Be selfassertive. Start with that and it will take you far. What I liked most about studying in INTI was the courses and activities that are tailored with a strong focus on employability. INTI often organised interesting events with industry leaders to provide us with a platform to network with future employers. My favourite event was the engagement session with leaders from General Electric, as I got to pick their brains and went home with tonnes of valuable insights to support my career choices. I was recently appointed as the Project Manager for a few highvalue projects in the company. Even though I am a fresh graduate who has just entered the working world, my bosses saw my potential. It is daunting, but with the skills I’ve learnt in university and my colleagues’ confidence in my capabilities, I am ready to take on the responsibility. There have been many mentors and inspirational figures in my life, so much so that I can’t name just one person. From my lecturers in INTI and my first boss during my internship, to my family members and colleagues, many have guided me along the way. Each of them have inspired me at different stages of my life and impacted me in big and small ways. If I could give one piece of advice for graduates entering the working world, it would be to follow your passion. It will be challenging but with the right skills and attitude, it will drive you to success. I believe in the saying: “Do what you love, love what you do, and you will never work a day in your life.